Cyprus has been a vine growing and wine producing country for millennia. Internationally, it is best known for Commandaria wine. Most wine production remains based on a few varieties of local grapes such as Mavro and Xynisteri (see table below) although international varieties are also cultivated. 'When Orionas and Sirios are in the middle of the sky and when rosefinger Ios, Persi, is overlooking Arktouros then collect the grapes from the vines and bring them all home. Show them to the sun for ten days and ten nights, for five days keep them in the shadow and on the sixth day poor the gifts of Dionisos in the jar…' Hesiod 800BC line 609 – 617. In the above lines Hesiod is describing the production of Commandaria, the Cyprus traditional sweet wine that has the longest history in the world of wine. Back then this fabulous wine was not named Commandaria, it was named Cyprus Nama and it was consider the most prestigious sweet wine in the world, this was enjoyed by Kings all over the Mediterranean and even the Pharaohs of Egypt (Aristidou 1990).In the ancient times, during Homer period or even far before that, when speaking about wine, one means the traditional sweet wine produced in Cyprus. This is justified by two things: one is by the ancient wine jars and the ancient wineglasses that were found in archeological excavations in the island of Cyprus and the pips from grapes of the vine species Vitis Vinifera, that were also found in Cyprus and date back to the Neolithic age (Papadopoulos 2004) The Vitis Vinifera species is considered today as the best available species for winemaking purposes (Pavlides - Vrontis 2009). The second reason is the fact that during ancient times, people in general enjoyed their fruits and wines in sweet forms. This is because of the lack of sugar as an added substance during that time and also because high amounts of sugar both in liquid but also in solid form worked as preservatives.Evidence of wine making and most probably of the Cyprus Nama is also found during the Hellenic period. Within the Kerynia shipwreck, amphora jars were found that were used for wine exportations. This justifies the wine trade made from Cyprus part during that time (Papadopoulos 2004). The history of Cyprus Nama has continued until the Roman period, during that period the Romans wrote wine production manuals and spread the winemaking method found in Cyprus all over the world, to the countries that they were invading. 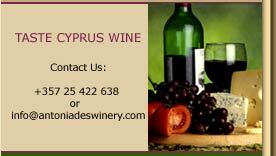 This time has been of significant development to the Cyprus wine industry. Another justification of the production of wine in Cyprus is the wine barrels and wine amphora that were found at Kato Paphos within the Roman estates. Moreover, within Dionysus (god of wine) house a marvelous mosaic was found. The mosaic is indicating Dionysus along with Ikarios and Akmi (Ikarios daughter) and the words 'ΟΙ ΠΡΩΤΟΙ ΟΙΝΟNΠΙΟΝΤΕC' which translates to 'the first wine drinkers'. Earlier on, during the period of 1192 King Richard the Lionheart invaded the island and captured it. During his stay, a worth mentioning occasion happened and that was his wedding with Berengaria, were Richard exclusively served a superb sweet wine (the Cyprus Nama) during the banquet. Later on, he sold Cyprus to the Templars (An Ecclesiastic Knights team that was created from the Crusaders). The Templars could not put the locals under control and so they sold it back to King Richard the Lionheart. Later on King Richard the Lionheart sold the island to Guy de Lusignan that brought catholic crusaders to the island and gave them land and other significant possessions and benefits. In order to control the island three areas of command (commanderies) were created. The main commanderie or La Grande Commanderie was established at Kolossi Castle at Limassol. The other one was established at Paphos, which was called Templos and the other one at Kyrenia and it was named Phoenix (Papadopoulos 2004). Among the crusaders that were brought to the island, it was the ecclesiastical military of Saint John the Baptist and to them it was given the area of Kolossi in Limassol, where the castle of La Grande Commanderie is located. During that period and in the area of Kolossi, the Cypriots were cultivating vines and they were making a superb sweet wine from sun dried grapes, amongst other things. This marvelous and exceptional sweet wine was enjoyed by the Knights, nobleman and crusaders but also it was traded outside Cyprus. The foreign traders named it Commandaria, not only because it directly relates to the name of the production area – La Grande Commanderie, but also because of the prestige that the particular wine had by the people is was consumed. within this island, there is a treasure which only the King of Kings is worth possessing' and of course by saying King he meant himself and by saying treasure he meant Commandaria (Aristidou 1990). It was not long enough until the Ottomans made their religious laws stronger and so Commandaria started declining because alcohol is not allowed to be consumed by them. As a result the vines started to die and therefore the production of Commandaria started declining dramatically up to the point it almost disappear. The Ottoman Empire had a very negative effect on Cyprus, with the major problems being the underdevelopment of the island in all areas including viticulture and winemaking. After all the production of Commandaria survived because of the following reasons: the ability of the vines to survive with minimum water and cultivation, the variations of products produced from grapes, the long and strong tradition and the willingness of the Cypriots to produce products from the grapes, the use of Commandaria for Holy Communion, the economic benefits that the Ottomans had from the trading part of Commandaria and last but not least because of the healing properties that it had (Papadopoulos 2004). A very old book that was written by the Italian writer Giovanni Maritti for Cyprus wine is "Del Vino di Cipro". Within the book Maritti describes in detail Commandarias' production. The location of the vineyards is described to be at Limassol, there is also a description of the grape varieties used,planting, pruning etc. precisely it says: ' when the grapes start to mature, some smart Cypriots remove the leaves, after the grapes are matured, they turn the branch with the grapes towards the main body.The gathering of the grapes begins around the 26th of August. Later on after the grapes have been picked, the branches are cut from where they were bended and this is the process of pruning the vine. Then the villagers fill the baskets with grapes and by using their donkeys they move them to the drying area. There, the grapes are left on the so called "Punsi" on the floor until the grapes are almost rotten. Then the grapes are placed in the 'Linos', which is a pressing machine made of wood and marble. The juice is collected and poured into the jars that most of the times are stuck into the earth. The alcoholic fermentation begins and ends within the jars after about forty days (Papadopoulos 2004). The long and difficult journey of Commandaria kept on until the English occupation. With no significant development, Commandaria was still produced on the island of Cyprus, but the English occupants gave more focus on the production of sherry that was exported to Great Britain. Nevertheless, in 1937 the English did tried to promote the development of Commandaria with actions taken for the identification and the set up of the Commandaria regions. Furthermore, plans were developed to make Commandaria a controlled region – AOC (Appellation d'origine controlee). During this period, similar to Commandaria wines were developing while Commandaria stayed at a low and constant level of importance, production and appreciation. Even from the locals, Commandaria was nothing special and it was used primarily for the Holy Commune. Both the foreigner occupants and the Cypriots did more or less nothing for the development of Commandaria. Only when England joint Europe and Cyprus lost the exportation of Cyprus sherry to England, did the Cypriots realized the importance of Commandaria and started taking measurements for its development. Due to the fact that Commandarias production is very difficult and easily affected by the weather, it was decided to create the first Cooperatives Companies in order to for the villagers – growers to protect themselves and work more securely. The first Cooperatives were created during 1995 and since then there are analytical figures that can describe Commandarias production until the earlier years. After 1960, Commandaria started being produced in constantly vast amounts by the villagers; the big winemaking companies were buying the wine, refining it, age it and trade it. The problem though was the fact that the production was bigger than the sales. Nevertheless, the development was taking place. 1974 Turkish occupation and a big drop on the rainfall during that period had a significant negative effect on Commandarias production, but in 1979 Commandaria thrived again with production reaching the amounts of 1464.900 litters and that is when the Soviet Union started buying it offering positive traits to Cyprus economy. This did not lasted for long though, as the Soviet Union started avoiding the trading negations, Commandarias' production started to decline once again, the villagers abandon the vineyards and most of the wineries are closed down. In 1996, Commandaria stamps the lowest production ever of only 132.400 liters (Papadopoulos2004). The main reasons for the significant decline of Commandaria were the following: the socioeconomically conditions that pushed the villagers to abandon the vineyards where the reward was very low and drive them towards the hospitality industry that was thriving and offered more money and better working conditions, the apathy of the government and the one-sided economic development, the ongoing low rainfalls and finally the decision to set the price of the grapes used for Commandarias production at the same level with all the other grapes even though the first have higher differences regarding their costs for production. Nevertheless, Commandaria reaches the markets of Europe, Asia and America where it is enjoyed and recognized for its outstanding quality. Moreover, Commandaria wins gold medals on International wine competitions and it earns the name of 'The apostle of wines' because it is such a unique, romantic and noble wine and has the longest history of wine in the world (Papadopoulos 2004). Hellenistic mosaics discovered in 1962 close to the city of Paphos depicting Dionysos, god of wine. More recently, two discoveries have put that date back by a few more years. The first was the discovery of a Bronze Age perfumery near the village of Pyrgos. Near this perfumery, an olive press, a winery, and copper smelting works were also discovered. Wine containers and even the seeds of grapes were unearthed. The second discovery involved an intriguing sequence of events. Dr. Porphyrios Dikaios, a major figure in Cypriot archaeology and once curator of the Cyprus Museum, had carried out excavations on the outskirts of Erimi village between 1932 and 1935. During these excavations, several fragments of round flasks were unearthed (amongst other artefacts). These pottery fragments ended up in the stores of the Cyprus Museum still unwashed in wooden boxes. They were dated to the chalcolithic period (between 3500BC-3000BC). In 2005, well after Dr Dikaios’ death, the chemical signatures of 18 of these were examined by a team of Italian archaeologists led by Maria-Rosaria Belgiorno. Twelve of these showed traces of tartaric acid (a component of wine) proving that the 5,500-year-old vases were used for wine. As expected, the history of wine on the island closely relates to its political and administrative history. During the Lusignan occupation, the island had close ties with the Crusader nations and especially the nobility of France. During this period, Commandaria wine won the Battle of the Wines, the first recorded wine tasting competition, which was staged by the French king Philip Augustus in the 13th century. The event was recorded in a poem by Henry d'Andeli in 1224. During the Ottoman occupation of the island, wine production went into decline. This was attributed to two factors: Islamic tradition and heavy taxation. Indicative are reports written mainly by French and British travelers of the time; Cyrus Redding writes in 1851: the vine grower of Cyprus hides from his neighbour the amount of his vintage, and always buries part of his produce for concealment; the exactions of the government are so great, that his profit upon what he allows to be seen is too little to remunerate him for his loss in time and labour. The quality of the wine produced also lagged behind times with Samuel Baker referring to Cypriot wines in 1879 "It should be understood that no quality of Cyprus wines is suitable to the English palate". 1878 marked the handover of the island form Ottoman rule to the British Empire. British occupation brought a revival in the winemaking industry. Taxation rules changed and the local cottage industry began to expand. 1844 saw the foundation of one of the largest wineries surviving to date, that of ETKO by the Hadjipavlou family. The Chaplin family (at Pera Pedhi) was Hadjipavlou’s main competitor until the arrival of KEO a company formed by a group of prominent local businessmen. KEO bought the Chaplin winery in 1928. In 1943, following a strike, a breakaway of trade union members from ETKO created a cooperative, LOEL. In 1947 the vine-growers themselves created SODAP, a co-operative to "protect the rights of the growers" . These ‘’big four’’ wine producers (a term widely used to refer to KEO, ETKO, SODAP and LOEL ) dominated the industry scene and survive to date. The first wave of expansion for Cypriot wines came with the misfortunes of the European viticulture sector. The phylloxera epidemic that affected mainland Europe in the late 19th century had destroyed the majority of wine producing vines. Cyprus, an island with strict quarantine controls managed to remain unaffected. As a consequence, demand for Cyprus grapes and wines coupled to the relatively high prices offered resulted in a mini boom for the industry. Further demand early in the early 20th century came from local consumption and from the regional forces of Britain and France in the Middle East. Cyprus produced quality cheap wine and spirits (mainly in the form of Cyprus brandy) and the big four companies prospered as a result. The next big export product came in the form of Cyprus Sherry. It was first marketed by that name in 1937 and was exported mainly to northern Europe. By the 1960s, Britain was consuming 13.6 million litres of Cyprus wines, half the island's production, mostly as sweet sherry. A British market research study of fortified wines in 1978 showed Emva cream was the leading Cyprus sherry in terms of brand recognition, and second in that market only to Harveys' Bristol Cream. The island became the UK's third leading wine supplier behind France and Spain. A major factor was that Cyprus Sherry was more affordable than Spanish Sherry as British taxation favoured alcoholic beverages with an alcoholic content below the 15.5-18% bracket.This competitive advantage was lost a few years later with the re-banding of the alcohol content taxation. The fortified wine market also began to shrink as a whole due to a change in consumer taste and as a result Cyprus sherry sales in the UK fell from their peak in the early 1970’s by some 65% by the mid 1980’s. The final blow came when the EC ruled that as of January 1996 only fortified wine from Jerez could assume the title of sherry. The other big market for Cyprus wine during the same period was the former Soviet block. Large volumes of low quality, mass produced, blended wines were sold to the eastern block with the cooperative wine producers (LOEL and SODAP) taking the lion’s share. This market began to dry up in the 1980s and vanished altogether with the fall of communism. Indicative of the industry's mass production tactics comes in a report by The Times in 1968 commenting on "the end of an underwater pipeline off the coast of Limassol linking to tankers taking on not gas or oil but wine - 100 tons an hour of it - destined for about 40 countries throughout the world. Firstly, new varieties of grapes were introduced and (financial) incentives given for their cultivation. The varieties introduced were considered more suitable for quality wine production intended for wines more palatable to overseas markets (than local grapes). Examples include grapes such as Cabernet Sauvignon, Cabernet Franc, Carignan Noir and Palomino (see complete table below). Secondly, incentives were given to create small regional wineries with a production capacity of 50,000 to 300,000 bottles per year . This intended to promote better quality wines by reducing the distance grapes travelled from vineyard to winery. The big four wineries were located in the large port cities of Limassol and Paphos so vine growers were forced to transport their harvest for miles in the summer heat. This had an effect on the quality of wine as the fermentation process had already begun during transport. The knock on effect of this incentive also helped maintain the village population in the vine cultivating regions. Thirdly a new Appellation of Origin was launched in 2007. Table wine. This is similar to the Vin de Table in France or Vino di Tavola in Italy. Local wine (Επιτραπέζιος Οίνος με Γεωγραφική Ένδειξη) which follows in similar fashion to the French Vin de pays and the Italian Indicazione Geografica Tipica.Regulations state that 85% of the grapes used in the production of such wine originates from the specific geographical regions and from the registered vineyards. Vines must be more that 4 years old with a controlled annual yield per cultivated hectare (55 hl/hectare or 70 hl/hectare depending on grape variety). Red wine must have a minimum of 11% alcohol content whilst rose and white wine a minimum of 10%. There are four such designated areas: Lefkosia, Lemesos, Larnaca and Paphos. Protected designation of origin (or O.E.O.Π. standing for Οίνοι Ελεγχόμενης Ονομασίας Προέλευσης) is the most prestigious designation and in theory indicates a higher quality product. It is modelled on the French Appellation d'origine contrôlée, whereas the Italian equivalent is the Denominazione di origine controllata. Wines with this designation must originate from registered vineyards of an altitude above 600 or 750 meters depending on location. Vines should be more than 5 years old and yield is restricted to 36 or 45 hl per hectare depending on grape variety. There are further regulations dictating the grape composition and ageing process. The climate allows for cultivation of most grape varieties. However local varietals (Mavro and Xynisteri) constitute the bulk of current plantations. Maratheftiko is an ancient grape varietal that is currently being revived. "Wine production by country", Food and Agriculture Organization (FAO) (2005). Retrieved on 2007-02-19. Baker, Helena (2006-06-07). "Worlds apart", The Prague Post. Retrieved on 2007-03-23. Phaneuf, Brett; Thomas Dettweiler, Thomas Bethge (March /April 2001). "Special Report: Deepest Wreck". Archaeology (Archaeological Institute of America) 54 (2). Retrieved on 2007-02-19. Morgan, Tabitha (2005-03-19). "Bronze Age perfume 'discovered'", BBC. Retrieved on 2007-02-19. Theodoulou, Michael (2005-02-25). "Archaeological dig sniffs out world's oldest perfumery", Scotsman. Retrieved on 2007-02-19. Molyva, Demetra (2005-05-14). "Most ancient wine in the Mediterranean is Cypriot", Cyprus Weekly, Stampa. Retrieved on 2007-02-19. "Cyprus 'first to make wine'" (May 16, 2005). Decanter. Retrieved on 2007-02-19. Leonidou, Leo (2005-05-17). " The Mediterranean’s oldest winemakers", Cyprus Mail. Retrieved on 2007-02-19.
d'Andeli, Henri (1224 AD). "La bataille des vins" (in French). Retrieved on 2007-03-24. Sigisbert, Charles (1801). "Voyage en Grèce et en Turquie, fait par ordre de Louis XVI (pp106)" (PDF) (in French). GoogleBooks (fulltext). Chez F. Buisson. Retrieved on 2007-05-10. Redding, Cyrus (1851). "A History and Description of Modern Wine (see p.36)" (PDF). GoogleBooks (fulltext). H. G. Bohn. Retrieved on 2007-05-10. Samuel W. Baker (1879). Cyprus, as I Saw it in 1879. Project Gutenberg (Etext edition, 2003), 271. Kassianos, George (Sunday, September 28, 2003). "New blood and a renewed vision", Cyprus Mail. Retrieved on 2007-05-10. "LOEL Ltd - Company profile on home website". Retrieved on 2007-11-03. "SODAP Ltd - Company profile on home website". Retrieved on 2007-11-03. "Join the revolution" (Aug 11, 2006). Lincolnshire Echo. Retrieved on 2007-11-03. "Cyprus wine comes of age", Caterer and Hotelkeeper (Archive), CatererSearch (1994-01-13). Retrieved on 2007-11-01. Knipe, Michael (Oct 1, 2002.). "Lionheart's liquid legacy". The Times: 35. Retrieved on 2007-11-03. Rose, Anthony (Jan 13, 1996). "Sherry gets real". The Independent. : 42. Retrieved on 2007-11-03. Kapon, Ron. 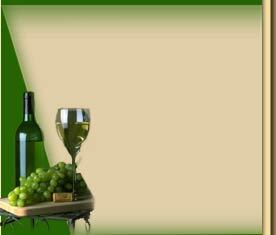 "Cyprus Wines- 1,000 Years of History", localwineevents.com. Leonidou, Leo. " Quality not quantity", Cyprus Mail. Reed, Arthur (Wednesday, Jun 19, 1968). "Pipeline Wine", The Times Digital Archive, pp. pg. V; Issue 57281; col A. Retrieved on 2008-05-02. "Wines & Spirits - Regional Wineries". Cyprus High Commission Trade Centre. Retrieved on 2008-02-14. Gilby, Caroline (2006-08-11). "A new era for Cyprus", Harpers. Retrieved on 2007-11-09. "Cyprus and Her Wines". Wine&Dine. Retrieved on 2007-11-09. "Appelation of Origin - Οίνοι Ελεγχόμενης Ονομασίας Προέλευσης (Ο.Ε.Ο.Π.)" (PDF) (in Greek). Vine Products Commission. Retrieved on 2007-11-09. "List of quality wines produced in specified regions" (PDF) (0/05/2007). Official Journal of the European Union C106: page 44. Retrieved on 2008-02-14. "Τοπικοί Οίνοι (Local wine)" (pdf) (in Greek). Vine Products Council of Cyprus. Retrieved on 2008-02-14. "Οίνοι Ελεγχόμενης Ονομασίας Προέλευσης (Ο.Ε.Ο.Π.)" (pdf) (in Greek). Vine Products Council of Cyprus. Retrieved on 2008-02-14. Levin, David (2000-11-01). " The Wines of Aphrodite's Isle", Wine Business Monthly, Wine Communications Group. Retrieved on 2007-03-23.
" Monitoring of Agricaultural policy market and trade developments in Cyprus" PDF). Agripolicy.net (December 2005). Retrieved on 2007-03-24.